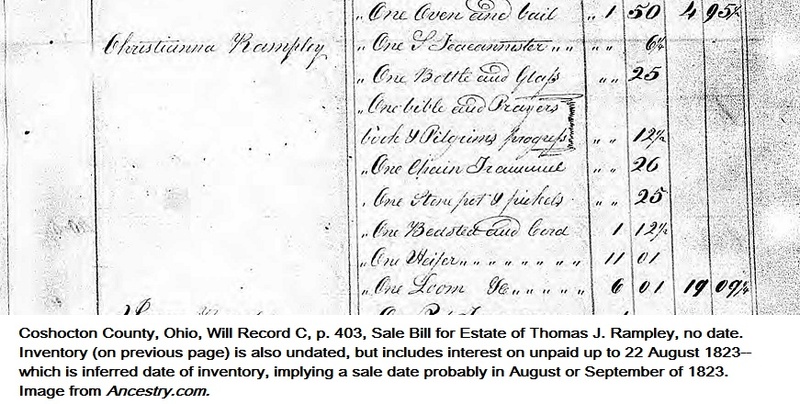 An incomplete chart of the purchasers of property from the estate of Thomas Rampley in Coshocton County, Ohio, in 1823. 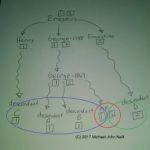 There’s no guarantee that a chart will answer your specific questions about an ancestor, but doing some initial work on the purchasers may make something stick out that was not noticeable before. Treadway, Crispan Tuscarawas, Coshocton Harford Co. MD native (like Thomas) who travelled with Thomas to Ohio. Thanks for this great tip, Michael. I will definitely do this and had never thought of doing it.